…To stay on task for the bathroom project! 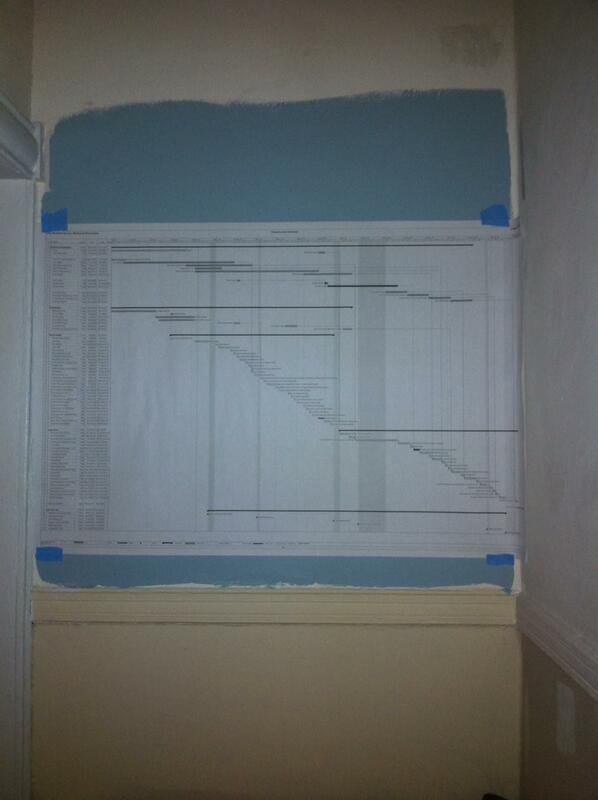 Rob put this detailed schedule together with construction scheduling software… Then printed it out and it’s as wide as our hallway. So what’s the big deadline?? November 30!